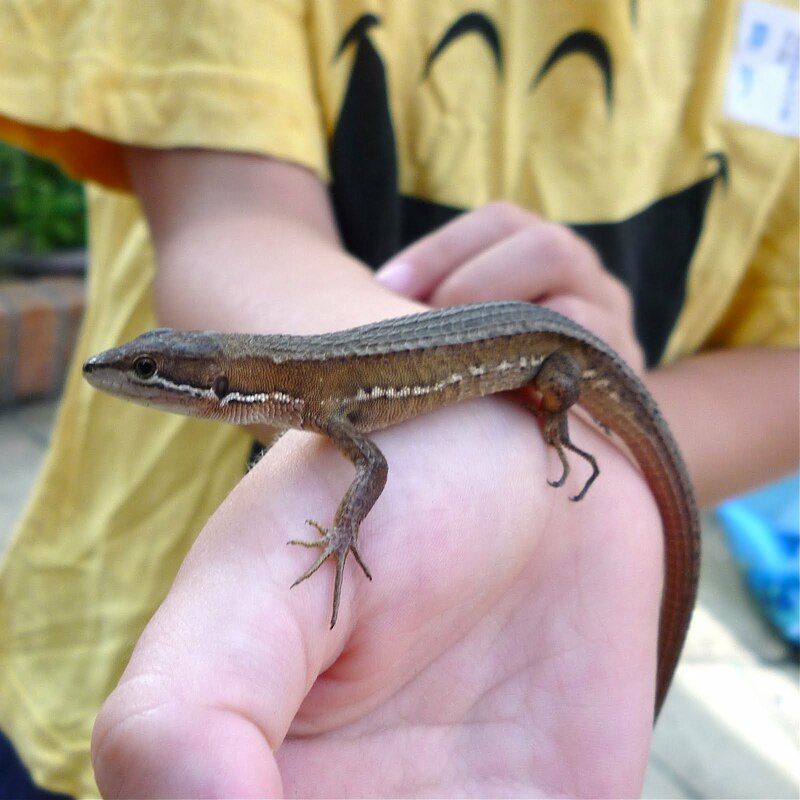 Ebi-kun got off the yochien bus yesterday with a plastic bag in his hand, last week it was the grasshoppers, this week it was a lizard! So we put him in the big bug box so Ebi-kun could show daddy. I should point out that sensei had made a breathe hole for the lizard. Because I have no intention of going out bug hunting so we can feed our new friend, we released him into the garden this morning, although he seemed to quite like Ebi-kun's yellow T-shirt, which looks like it had been screwed up in a ball before he put it on! I had to iron it before he went off this morning. I wonder what kind of friend he will bring home next week? I draw the line at snakes!